Tangeez are the creation of Emily Webster and Mustafa Bagdatli and are simply described as light-up building blocks. The fun begins when you discover that Tangeez change colour as you stack them. Create spectrums of colour and then rearrange the blocks for new colours, over and over again – the more you rearrange them, the more colours you will see. So how do they work? Each Tangee has three prongs on the top and three holes on the bottom – these are the bits that make them stackable. 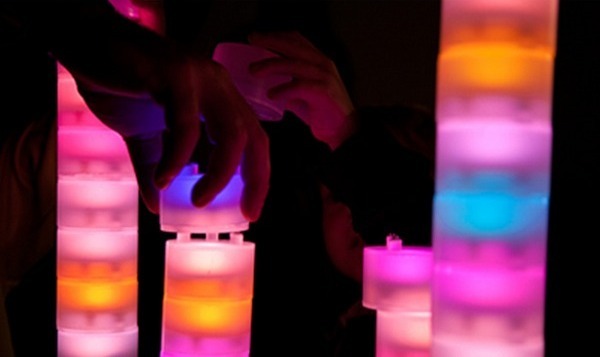 Inside each Tangee is a three-colour LED light (powered by a coin-cell battery). Connect one prong and you’ll see one colour – either red, green or blue. Two prongs mixes two colours and three prongs, three colours. One Tangee can’t work on its own, it needs another (or a base plate) to illuminate. The more Tangeez you connect, the more colours you create. 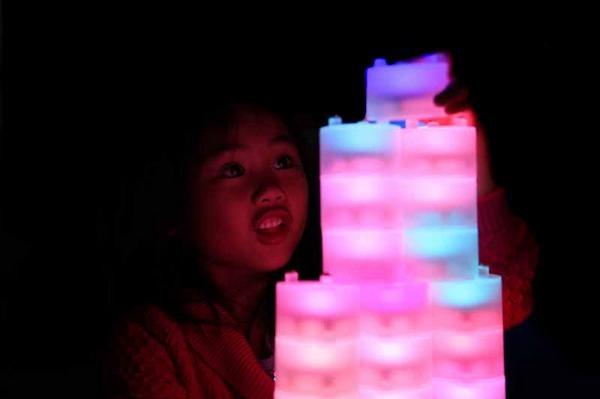 Obviously the appeal is in building glowing, light-up structures (as you might with building blocks!) but Tangeez are practical as well and can be used as ambient lights, camping lights, night lights and more (see ‘Escape Artist’ and ‘Grill-Master’ in the video below). Want some Tangeez? Get in quickly with Kickstarter to see this project go into production.